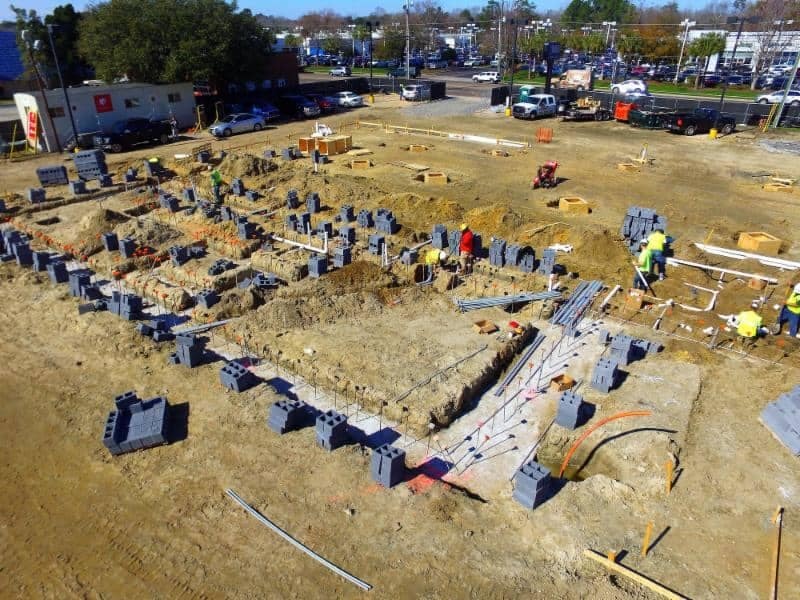 Foundation masonry block was installed this week, along with much of the underground plumbing and electrical. 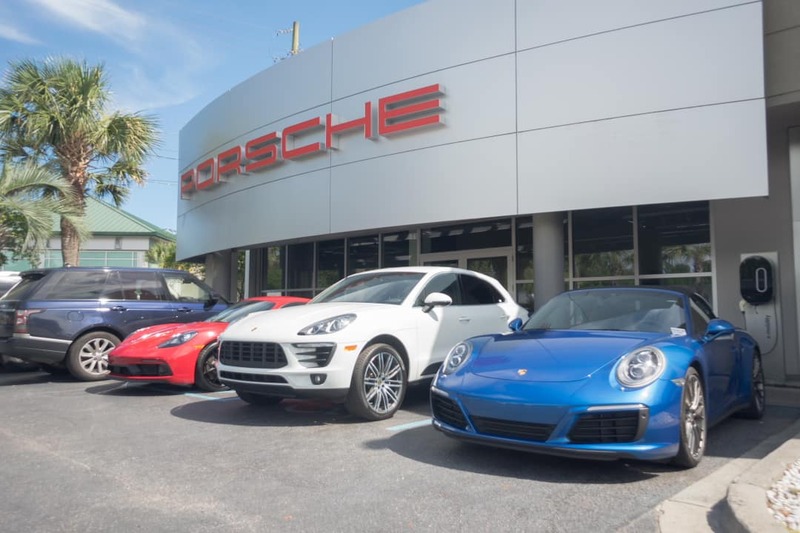 We compiled a 3D annimation showing a virtual walk-through of the new Porsche dealership. Will be a really cool building…coming Fall 2018! 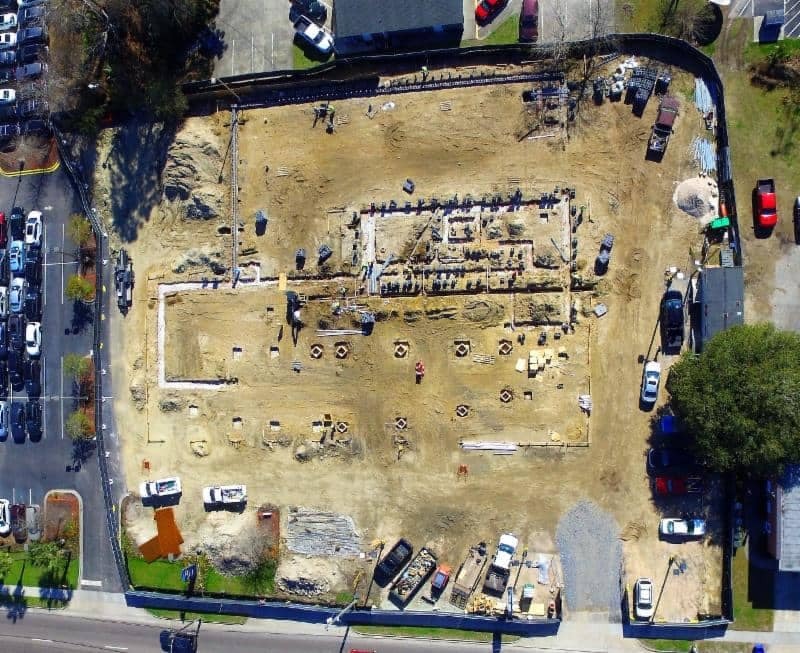 A few drone pictures give a feel for the overall progress along with the layout of the new building on the lot. You can see the foundation for the curved glass wall in the front, the service drive drop-off on the side, and the service bays in the rear. 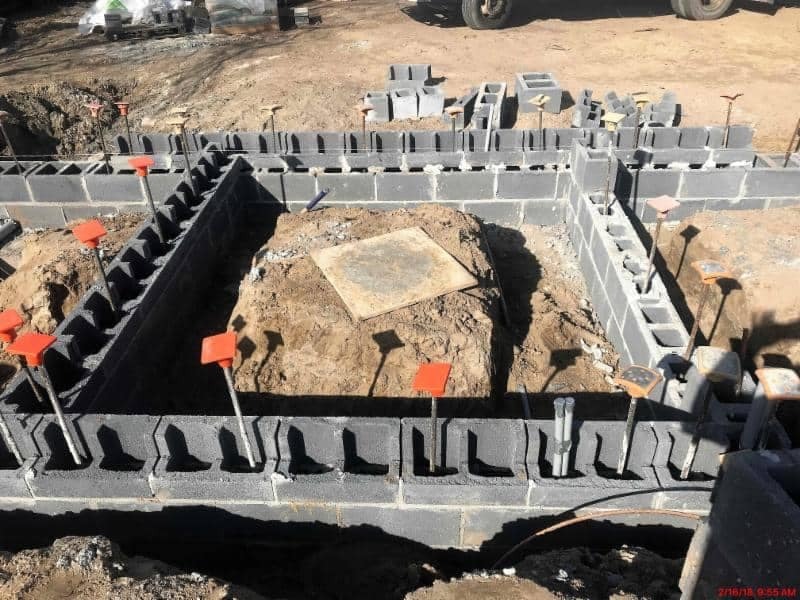 Foundation masonry block was delivered, laid out, and installed this week. 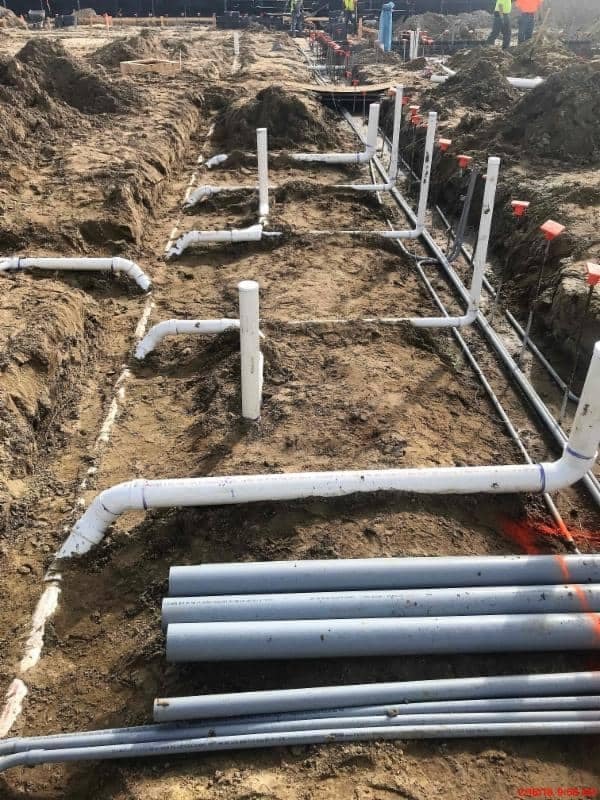 Plumbing undergrounds within the slab began this week. Waste pipes are stubbed up at the locations of all toilets, sinks, and drains. 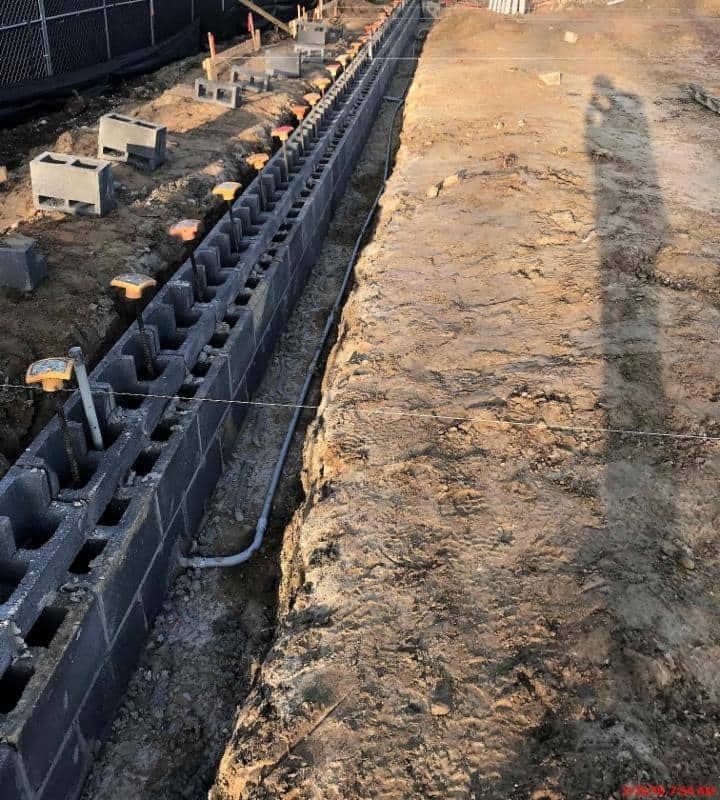 These are carefully piped and slopped out of the building to ensure proper drainage and will be encased in concrete when the slab is poured. 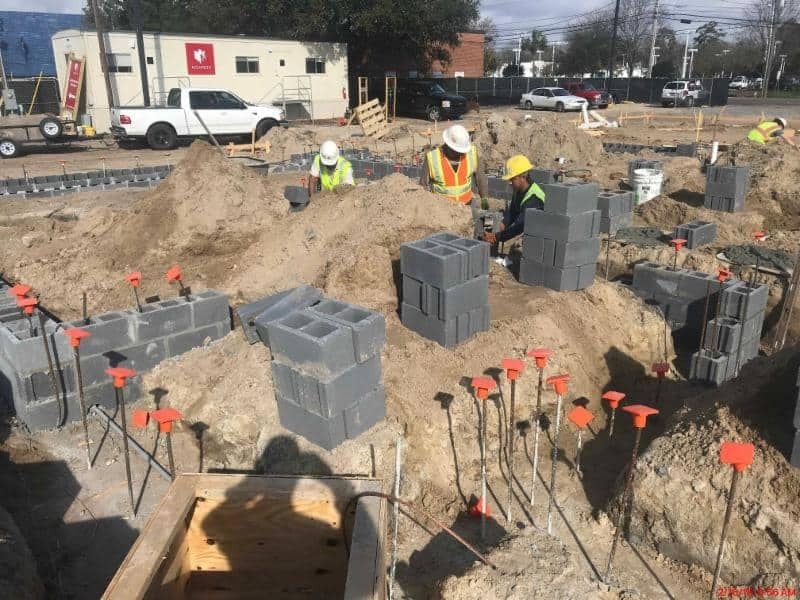 Electrical conduits were installed as the masonry blocks were laid to provide electrical service into the block walls.